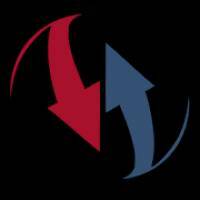 eTOM Certification Guide is a Education android app made by Certifications Made Easy that you can install on your android devices an enjoy ! 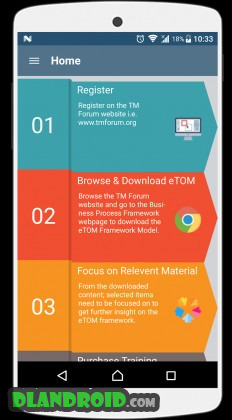 Interested in becoming Business Process Framework (eTOM) certified with TM Forum but don’t know where to start? 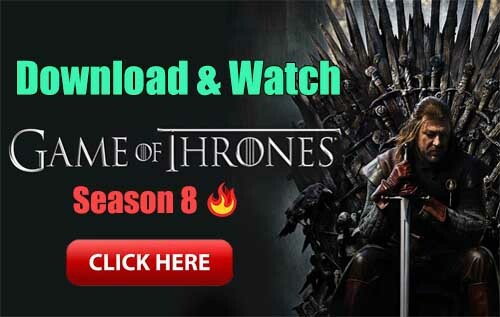 This smart and nifty app guide; is just for people like you. This app will guide you through the initial steps to get you started on your quest to become a certified eTOM expert. Business Process Framework/eTOM is a de-facto standard that is aligned with other well-known industry process models (such as ITIL, COBIT and SCOR) and extensively applied in multiple industries by both Service Providers and Operators to develop efficient and effective business processes; helping reduce time to market as well as cost. 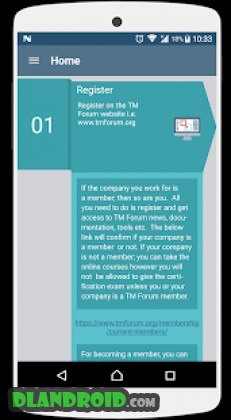 TM Forum certification can help improve your profile and in turn enable you to take that next step in your career. This valuable app contains useful tips and advice, important concepts, and more than 50 practice questions designed to help in your preparation. In addition we have also added some interesting reference material for further self study to help develop your concepts further. [[NOTE]]: Information in this app has been extracted from TM Forum website and respective documentations (TM Forum copyright) and compiled in a reader friendly way; readily available in the palm of your hand; to support YOU (the reader) in their attempt to learn eTOM in a targeted way hence leading to a successful certification in no time. * More than 50 Sample Practice Questions of Medium to Hard difficulty to help prepare for the Certification Exam. * Reference Material for Light Reading for better understanding Business Process Framework (eTOM) concepts.